Raithlin Energy have started to set up their drilling rig at West Newton which has made it the new battleground for extreme energy in the UK. On the weekend of 26-27 July, we will be heading to the West Newton Community Protection Camp to offer solidarity and support. We will be leaving at 8:30am on 26 July from Archway Tube station and will return during the evening of 27 July. There is also an option for people to return on 28 July as well. If you’d like to join us in our visit to the camp. 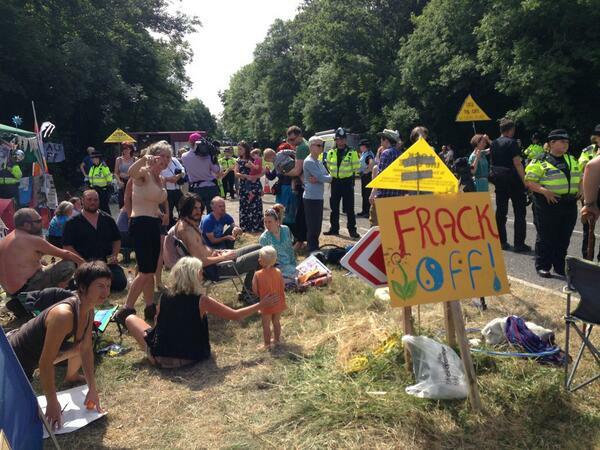 be sure to reserve your space on the minibus by emailing us at info@frackofflondon.org.uk. Transport to the camp is free!